The storefront of Guitar Center’s new location in Denton, TX. The DJ department at Guitar Center’s new location in Denton, TX. The employee team at Guitar Center’s new location in Denton, TX. Guitar Center has opened its 270th store location in the U.S.
Los Angeles, CA (October 2, 2015) – Guitar Center, the world’s largest instrument retailer, is proud to announce the grand opening of its newest retail location, a state-of-the-art musical instrument and technology center covering more than 10,000 square feet in Denton, TX. The grand opening took place on Thursday, October 1, at 2610 West University Drive, Suite 1210, Denton, TX 76201. Guitar Center’s Denton location features modern showrooms equipped with the latest products for musicians — from guitars, amplifiers, percussion instruments and keyboards to live sound, DJ, lighting and recording equipment. The store also provides customers with a vast selection of products and a dedicated staff with unparalleled musical knowledge and experience. Additionally, the Denton store features Guitar Center Lessons, an in-house, state-of-the-art lesson facility, which will create unrivaled opportunities for Denton musicians of all ages and skill levels. Guitar Center Lessons provides music lessons from beginner to advanced featuring certified instructors teaching world-class curriculum as well as one-on-one and group courses. Guitar Center Repairs, an on-site guitar repair and set-up service for stringed instruments and Guitar Center Rentals, offering the ability to rent instruments and other gear, are also featured at the new store. 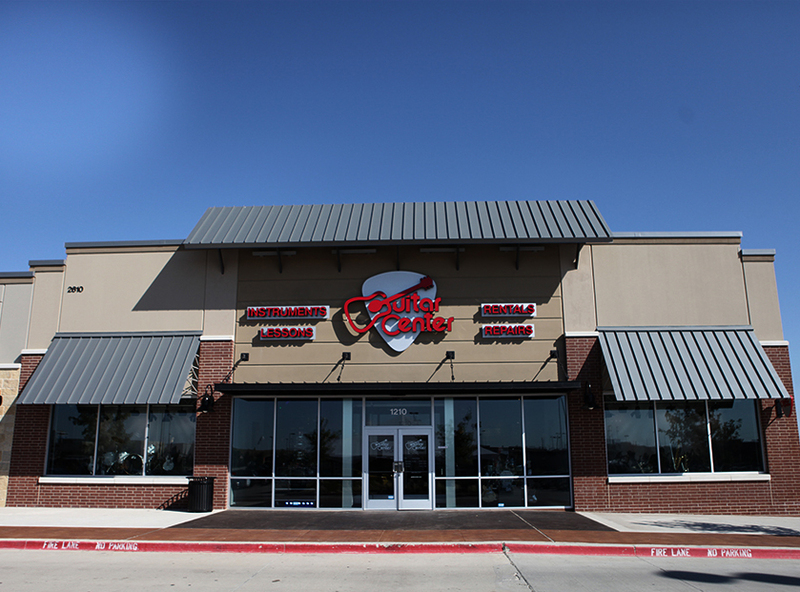 Denton customers will also be able to attend free classes every Wednesday and Saturday through Guitar Center Workshops. These classes include introductory instruction on a variety of instruments and Recording Made Easy classes are available for anyone who wants to make the exciting journey into recording their music. As part of Guitar Center’s initiatives designed to educate and inspire artists nationwide, Guitar Center Denton will offer unique opportunities for musicians to craft their skills, maintain their instruments and experience many other aspects of the music industry first-hand. Guitar Center offers nationwide programs designed to spearhead creativity and highlight the nation’s most promising undiscovered talent. Denton residents will now be able to participate in programs including Guitar Center Singer-Songwriter, Guitar Center’s Drum-Off, Guitar Center's Your Next Record, Get Out of the Garage and more. Denton shoppers will also be able to enjoy Guitar Center’s multi-channel “endless aisle.” Endless aisle will give customers the ability to combine in-store, online and phone options to purchase music equipment from anywhere. Photo Caption 1: The storefront of Guitar Center’s new location in Denton, TX. 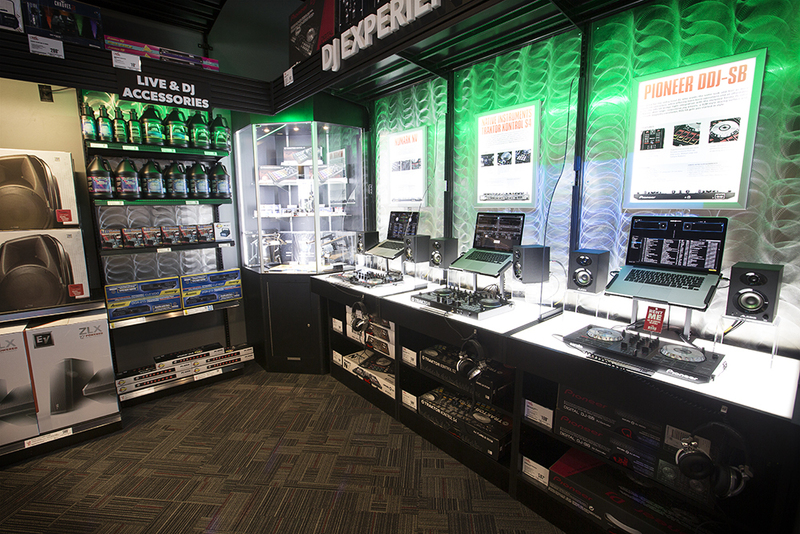 Photo Caption 2: The DJ department at Guitar Center’s new location in Denton, TX. 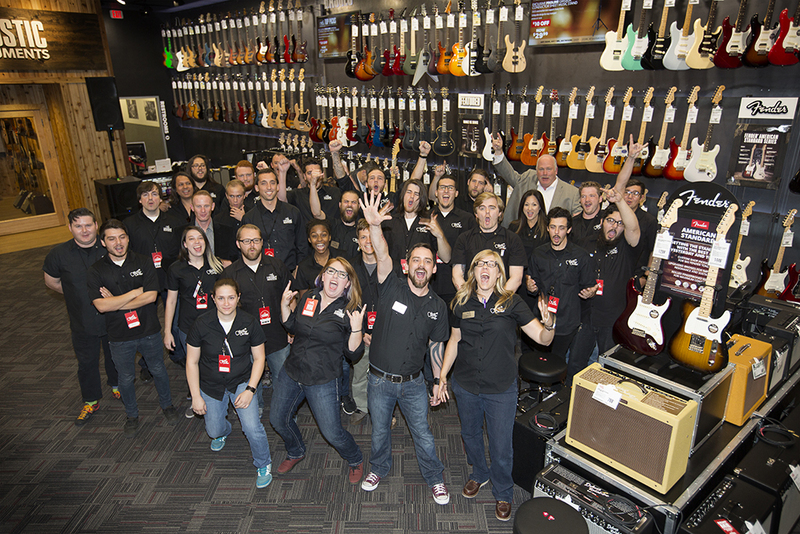 Photo Caption 3: The employee team at Guitar Center’s new location in Denton, TX.